Interested in The Päck? Read this first. re: Interested in The Päck? Read this first. Greetings, and thank you for considering The Päck. Your first step in the recruitment process is to fill out an application,once your application is complete please /join pack in game, that is our chat channel. It is a great way to be able to communicate with us. You can ask for a Beta aka officer in that channel. I do also suggest changing your chat channel color to one that you will notice. I personally have mine set to red, because that is one of our tabard colors. Once your application has been approved by a beta you must read, and sign our Code of Conduct. When you complete this part please contact the beta that was working with you to go over any questions or concerns you may have about our code of conduct. Once you have completed this you will then be granted an invite to The Päck. 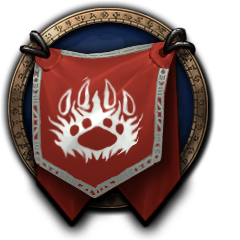 Again we thank you for your consideration, and the time you took to research our wonderful guild.